Ivory Coast is three months out from the final departure of its UN peacekeeping mission (UNOCI), but recent mutinies and unrest among former rebels within the military raise concerns about long-term stability. One of the central problems in Côte d’Ivoire’s war-to-peace transition has been the role of the former rebel commanders of the Forces Armées de Forces Nouvelles (FAFN). 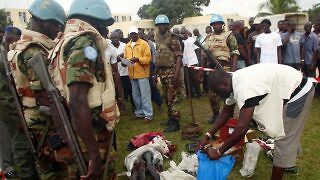 Many of these commanders developed deep ties in the communities that they governed during the armed conflict between 2002 and 2011, and the persistence of these wartime networks in Côte d’Ivoire continues to hamstring peacebuilding efforts and security sector reform (SSR). While the coup attempt appears to have been carried out by an isolated group of soldiers, it is indicative of growing frustration with the Bongo administration.